Fertiliser, stock feeds, cement and other bulk dry products make up a considerable portion of the volumes imported and discharged through PrimePort. With several hoppers available bulk volumes can be discharged across a number of the Ports berths. A PrimePort owned and operated weighbridge and independent storage facilities are available nearby. Importers and exporters of bulk products must refer to Appendix 2 of the PrimePort Air Quality Management Plan. Independent facilities exist for storage and distribution for fuels, molasses, bulk chemicals and vegetable oils. Timaru is also the major export port for bulk tallow. A five hectare unpaved storage yard adjacent to No. 1 Extension Wharf provides storage for up to 50,000m3 of export logs. Log marshalling and stevedoring services are provided by independent operators. Imports and exporters of logs must refer to Appendix 3 of the PrimePort Air Quality Management Plan. PrimePort has a particular skill in handling break bulk and project cargos including receiving, delivery, marshalling and storage. Large/heavy loads are handled at the North Mole for delivery throughout the central South Island. 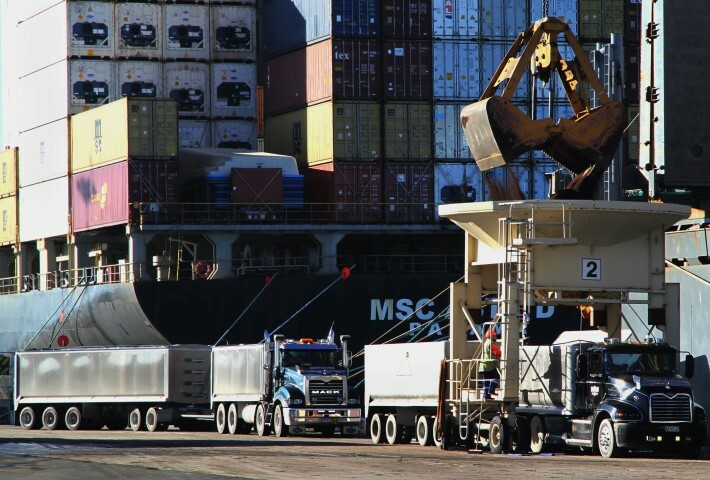 Timaru's central location on the East Coast and excellent rail access, with no restrictive tunnels, makes for efficient handling of difficult consignments. PrimePort is well equipped to manage an array of import or export general cargos. PrimePort is a key base for Chatham Island trade. Timaru is New Zealand's second largest fishing port. It is home to several deep sea trawling vessels and a 17 vessel inshore fishing fleet. There are two major fish processing plants adjacent to the fishing harbour. The Timaru port has a significant container terminal operated by Timaru Container Terminal Limited, a subsidiary of Port of Tauranga. Five hectares of paved storage space at the North Mole Container Terminal and Freight Station (operated by Timaru Container Terminal Limited). A total of 5,000m2 of covered storage space including North Mole Transit Shed (operated by Timaru Container Terminal Limited) and the South Store (operated by PrimePort). Independent cool store operators and fishing companies provide a total of 170,000m3 cold storage in the port area. Port users are required to comply with several PrimePort and other external agencies policies and procedures.